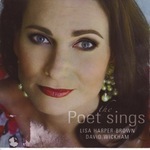 The poet sings : Australian art songs / Lisa Harper-Brown, David Wickham. The Collected edition of Songs. Vol. I / Roy Agnew ; edited by Richard Morphew.